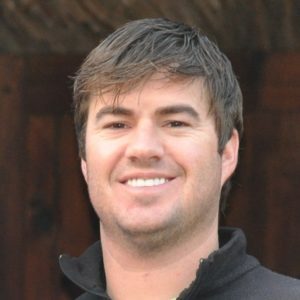 Evan Eneman, CEO of MGO-ELLO Alliance, is this week’s guest on The Green Rush. In case this is the first time you’ve heard of MGO-ELLO Alliance, the company can be considered the “Deloitte of Cannabis”, a leader in the cannabis financial, tax and advisory services space. ELLO has worked with hundreds of businesses to help them solve complex problems in regulatory compliance, capital markets advisory, tax services, operational improvements as well as staffing needs. Evan previously worked at Casa Verde Capital, a venture capital firm focused exclusively on the cannabis industry, which counts Snoop Dogg among its partners. With both Anne and Nick away for this week’s conversation, Lewis solicited the help of Aaron Smith, former CNN cannabis reporter and now a member of the KCSA team, to join him for this interview. Because cannabis finance is extremely complicated and challenging, Lewis and Aaron enlist Evan to help them navigate the banking, security and regulatory issues cannabusinesses face including a deep dive on 280E. Additionally, Evan touches on the growth of the East Coast market and which state he thinks will transition to adult use first – New York or New Jersey? Evan Eneman, a serial entrepreneur, advisor, and investor, is the founder of several leading ventures steering the cannabis industry today. 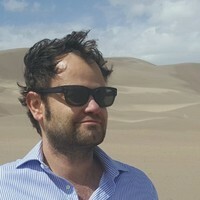 He is the co-founder and CEO of ELLO and National Cannabis Practice leader for MGO/ELLO, an alliance of professional services firms providing capital markets and M&A advisory, tax, assurance, consulting, staffing and outsourcing services to a few hundred clients in the cannabis industry. 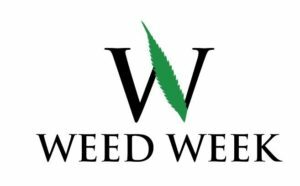 He is also the founder and CEO of Fiorello, a cannabis branding and marketing agency. 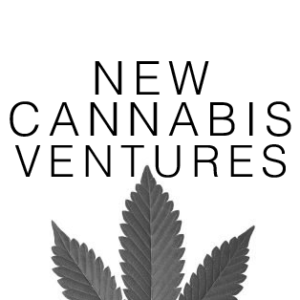 After co-founding and running Casa Verde Capital for several years, Eneman launched Sands Lane Capital, a purpose-driven venture capital firm focusing on opportunities in the cannabis and hemp industries. This episode was hosted by Aaron Smith and Lewis Goldberg of KCSA Strategic Communications. Welcome back for another episode of the Green Rush! To celebrate the holidays, we’ve decided to give our listeners a BONUS episode this week with executives over at CordovaCann! CEO Taz Turner and COO Nate Nienhuis join Lewis and Anne in this episode to chat about all things Cordova and cannabis. If you don’t know Cordova, they are a cannabis-focused consumer products company focused on building a leading, diversified cannabis products business. The company is also public on the CSE under the ticker – CDVA. In this episode, Lewis and Anne chat with Taz and Nate about their largely different backgrounds and how the opportunities in the cannabis space brought them together. Noting Taz’s largely financial services background, our hosts explore Taz’s cannabis story and what ultimately lead to him making the leap into the highly regulated industry. Nate’s been a veteran of the cannabis industry for decades having consulted on the Washington D.C. program for legalized medical cannabis and was one of the first people to grow cannabis legally for the U.S. government. So lean in and enjoy! 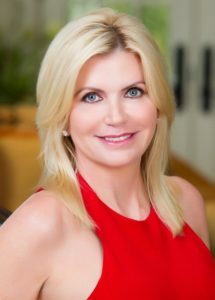 Taz Turner has over 15 years of experience in the capital markets focused on both debt and equity securities in the technology and consumer industries. Since founding Southshore Capital Partners, LP in 2009, Mr. Turner has guided the growth of Southshore’s long/short global equity hedge fund as General Partner. Through his fund, Mr. Turner has invested in public and private cannabis companies since 2012. 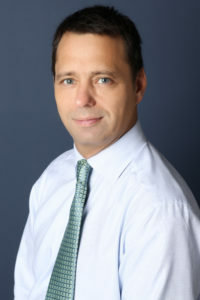 Prior to Southshore, Mr. Turner held progressive positions at hedge funds and private equity funds with Tala Investments, Trafelet Delta Funds and ABS Capital Partners, where he specialized in technology and consumer investments. Mr. Turner graduated from the University of Virginia with a Bachelor of Science in both Commerce and Mathematics. Nate Nienhuis has extensive experience consulting to both public and private companies on all aspects of cannabis operations; including general operations, facility design, management of production and processing facilities, product development and dispensary oversight. Mr. Nienhuis has served as a consultant to various public and private companies since 1996. Over the course of his career, Mr. Nienhuis has served as head horticulturalist at licensed medical cannabis companies in California, Arizona, Colorado, Washington, Oregon, Nevada, Washington DC, and Canada. Furthermore, Mr. Nienhuis has developed and sold cutting-edge equipment for the safe extraction of cannabinoids and has been at the forefront of devising new extraction methods for processing at scale. As an extraction expert, Mr. Nienhuis has consulted on facility design for commercial cannabis extraction laboratories across the world, including ensuring compliance with Class 1 Division 1 standards for the use of volatile chemicals. Welcome back to the Green Rush, Lewis is back riding solo in the booth for today’s episode with a truly interesting guest, Matt Karnes from Green Wave Advisors. After spending over 20 years gaining diverse finance and accounting experience, Matt shifted his focus to the cannabis industry in 2014 with the founding of GreenWave Advisors. If you’re not familiar with GreenWave Advisors you’ll be sure to follow them regularly going forward as they have consistently provided accurate and relevant research and analysis of the cannabis industry and is the only independent firm to bring Wall Street investment research credentials to this emerging sector. In today’s episode, Lewis and Matt cover a range of topics including Matt’s thoughts on the crazy high valuations of Canadian cannabis stocks; some interesting data on the relationship between the US banking industry and the cannabis space; Matt’s thoughts on what may happen over the next few months from an M&A perspective and whether there could be a growing sense of investor fatigue amongst institutional money in Canada. Enojy! Matt Karnes has over 20 years of diverse finance and accounting experience. Prior to founding GreenWave Advisors LLC, Matt worked in equity research focusing on the Radio Broadcasting and Cable Television industries for First Union Securities. Matt also covered Satellite Communication at SG Cowen and in addition, worked with the top ranked Consumer Internet analyst at Bear Stearns & Co – this team was consistently recognized by the Institutional Investor’s “All America Research Team”. As a sellside equity analyst, Matt authored and co-authored numerous emerging industry research reports including such names as Google, Sirius, XM Satellite Radio, DIRECTV and EchoStar Communications. In his most recent role, Matt was Principal and Senior Equity Analyst at Bull Path Capital Management, a New York City based hedge fund, where he was responsible for investment strategies of emerging technologies primarily within the Technology, Media and Telecom sectors. 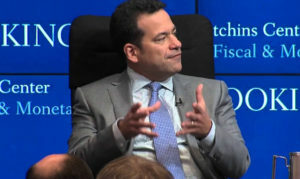 Prior to his career on Wall Street, Matt held various finance and accounting positions at PriceWaterhouse Coopers and Deloitte as well as at Texaco Inc. where he worked throughout the U.S., Europe, The Caribbean and Asia. Additionally at Chase, Matt was responsible for implementing the bank’s corporate accounting policies on commodity, interest rate and foreign currency derivative products. Matt graduated from Fordham University with an MBA in finance and earned a B.S. Business Administration with a double major in accounting and finance from Miami University (OH). Matt is also a Certified Public Accountant. This episode was hosted by Lewis Goldberg. Welcome back to a very special episode of the Green Rush! Back in early September, Lewis sat down for a conversation with friend of the pod, Danny Moses of “The Big Short” fame while at the Green Market Summit in New York City. 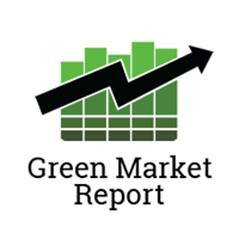 For those who may not know, the Green Market Summit is a cannabis investor series put on by Deb Borchardt of the Green Market Report, another recurring guest on the Green Rush Podcast. If you listened to the initial conversation between Anne, Lewis and Danny you know it was a doozy, and this one is no less interesting. 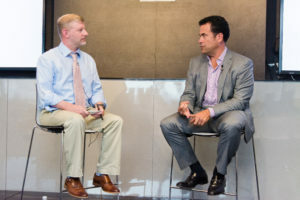 In the conversation, Lewis and Danny chat in front of a live audience about where we are today as an economy, Danny’s process for evaluating potential investment targets in the cannabis space, his thoughts on the some of the largest deals in the sector and more. Also, this is our first live recording, so we know that the audio isn’t the best but ask that you give us a little leeway if the sound is a bit wonky at times. Enjoy! 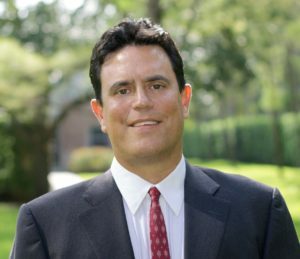 Danny Moses has extensive experience with financial markets having worked on Wall Street since 1991 and holding a variety of positions including municipal bond analyst, institutional sell-side broker, trader, and hedge fund manager. 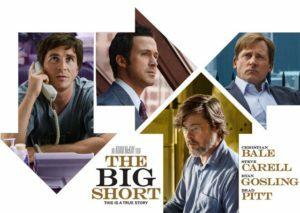 The book and later movie “The Big Short” features the character of Danny Moses and a few others who were able to successfully navigate the volatility of the financial markets during the formation of the housing bubble in 2004. 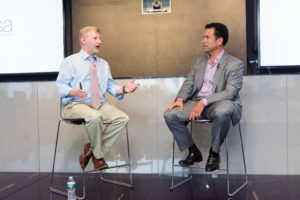 This episode was hosted by Lewis Goldberg at the Green Market Summit in NYC. Welcome to another episode of the Green Rush! Nick is sticking around the studio again this week, this time filling in for Lewis as he and Anne chat with Tim Blake, one of the earliest pioneers in the cannabis industry. Tim Blake is most well-known for creating and continuing to produce the The Emerald Cup, Northern California’s premier event for medicinal and recreational marijuana enthusiasts that also advances the concept of sustainable, outdoor farming. Tim has been producing the Emerald Cup for the past fifteen years and history with cannabis goes back even further making him one of the rare entrepreneurs who has been in the industry from it’s black market heights in the 70s and 80s through today. 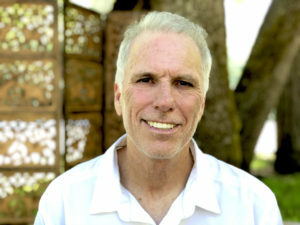 In this week’s conversation, the Green Rush team and Tim chat about how the landscape of cannabis in California has changed since he first started getting involved in the late 70s, Tim’s history of community organizing and his role in helping produce one of the first gatherings of law enforcement and cannabis farmers in the country to openly discuss how they could work together as well as what attendees can expect from this year’s Emerald Cup lineup. Tim Blake created and has continued to produce the The Emerald Cup for the past fourteen years. He sponsored and helped produce the first gathering of law enforcement and cannabis farmers in the country to openly discuss how they could work together. He was the co-founder of the Mendocino Farmers Collective and also Healing Harvest Farms, both local cannabis dispensaries designed to help facilitate getting outdoor cannabis into the dispensaries across the state. He was a founding member of Coalition for Cannabis Policy Reform (CCPR), which evolved into ReformCA, and was also a founding member of the Mendocino Cannabis Policy Council (MCPC). Tim was also on the steering committee for the Mendocino Heritage Initiative (Measure AF), which was on the county ballot in 2016, and is on the board of directors of The Mendocino Cannabis Industry Association (MCIA). Tim’s personal goal is to help the world integrate spirituality, cannabis, organic food and living into a holistic lifestyle. Could Cannabis Be the Next Big Short? 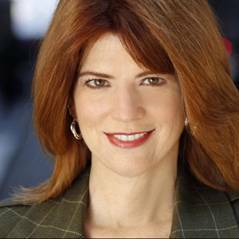 This week on the Green Rush Podcast, Anne, Lewis, and Phil sit down with Danny Moses, Wall Street insider and investor in the cannabis industry. If you don’t know Danny, you should. He was at the center of the financial meltdown in 2007/08 and his role in the crisis was recaptured in the famous film, “The Big Short”. As a trader working for Steve Eisman, Danny was a “short” meaning he bet against the housing market and made a ton of money. He’s one of the smartest guys from Wall Street and over the past few years he’s been going “long” on the cannabis sector. Danny speaks to his experience in the 2008 financial crisis, similarities he sees between the financial collapse and the cannabis industry, why he believes investing in cannabis is smart, and the social issues that continue to plague the cannabis industry.